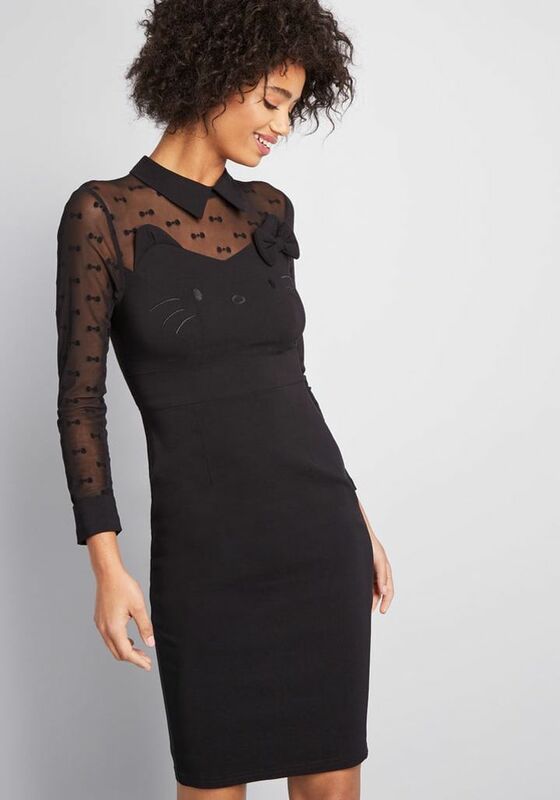 Spice up your holiday party look this year and wear this ModCloth for Hello Kitty Stylish Visage Sheath Dress ($99). 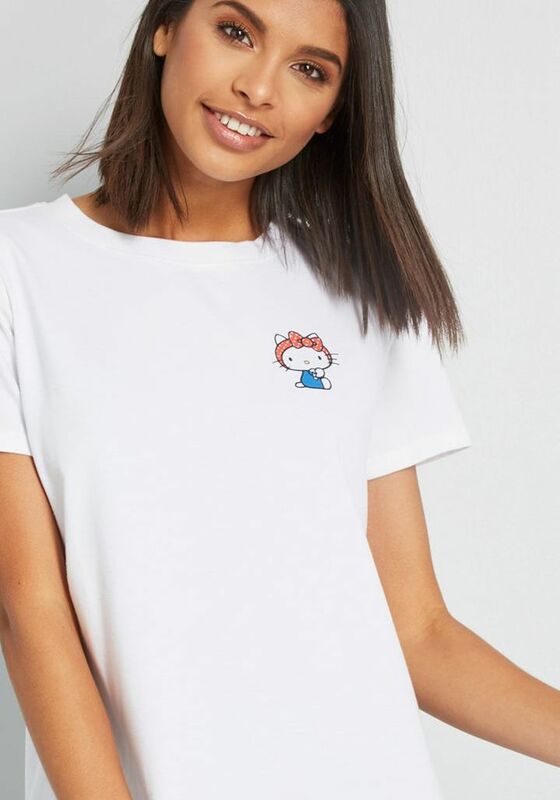 Wear this ModCloth for Hello Kitty Riveting Twist Graphic Tee ($35) with your favorite jeans. 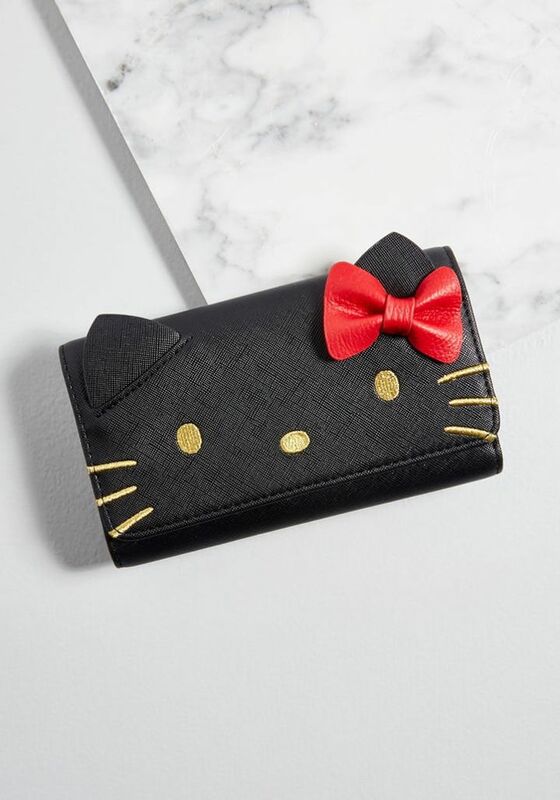 Replace your worn-out wallet with this ModCloth for Hello Kitty Pop Culture Cutie Wallet ($39). 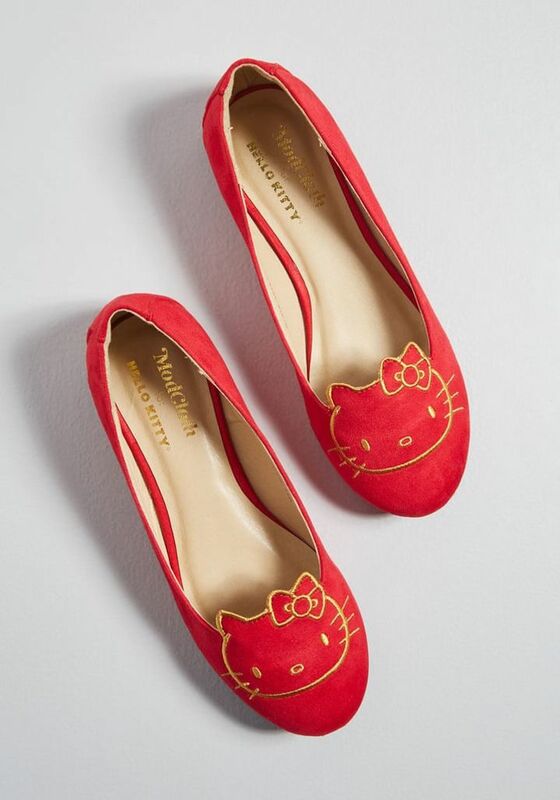 How adorable are these ModCloth for Hello Kitty Amble Companion Ballet Flats ($49)? 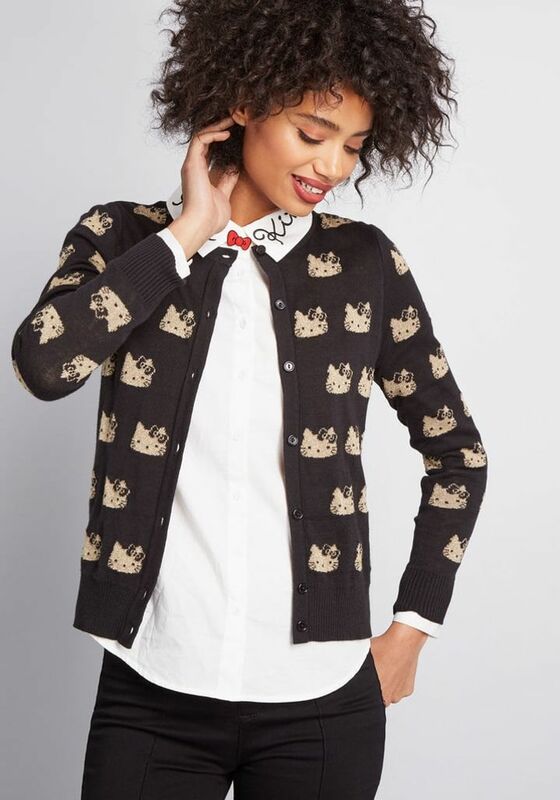 You can layer this ModCloth for Hello Kitty Kawaii Icon Cardigan ($59) with a white blouse. 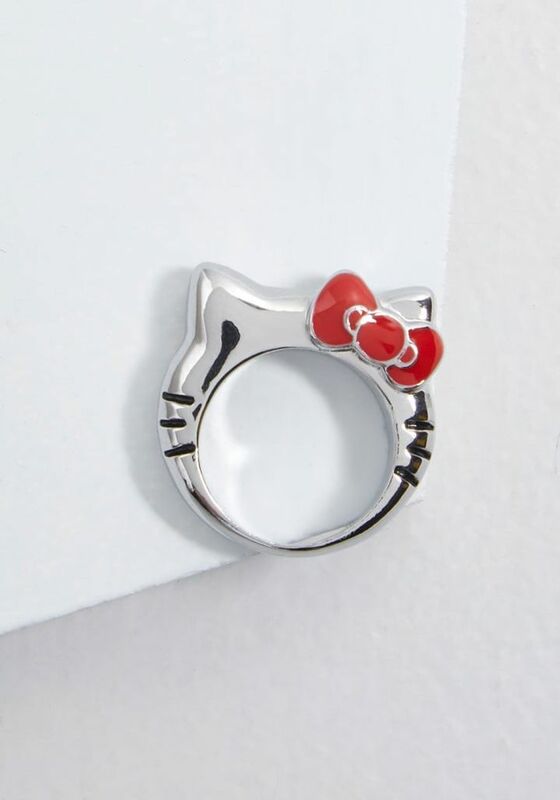 Show your love for your favorite cat with this ModCloth for Hello Kitty Supportive Pal Ring ($17). 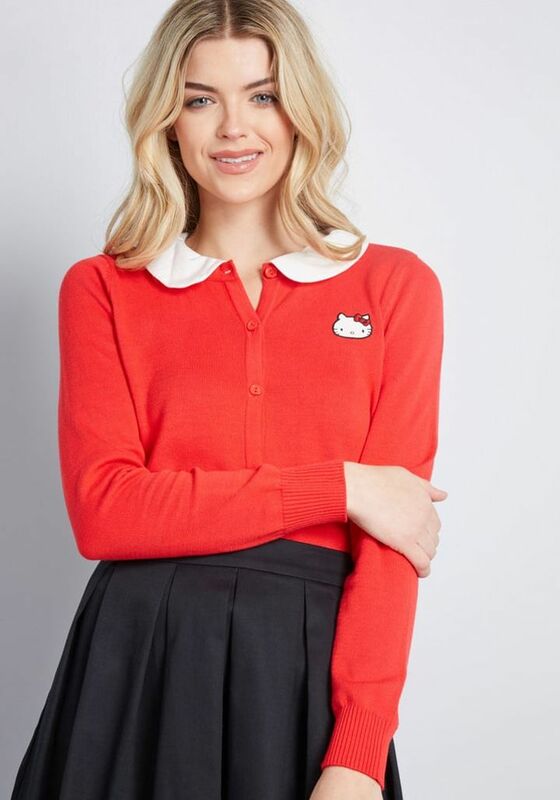 You'll never tire of wearing this ModCloth for Hello Kitty Abounding Bows Sweater ($59). 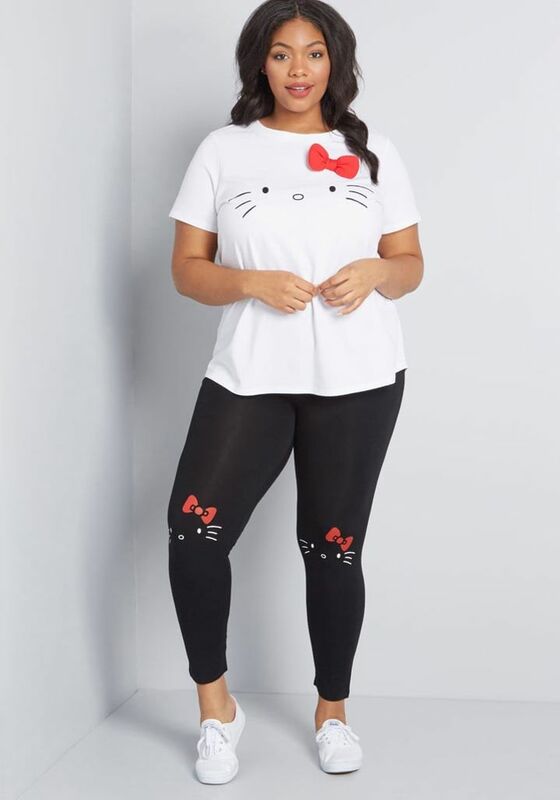 The cat face detail on the knees make these ModCloth for Hello Kitty Comfortably Kawaii Leggings ($25) perfect. 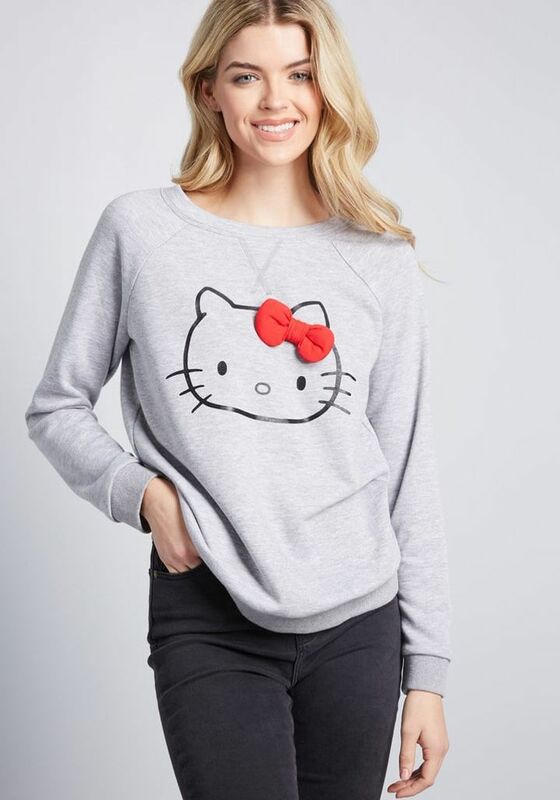 Stay warm and cozy in this ModCloth for Hello Kitty Bow and Go Graphic Sweatshirt ($55). 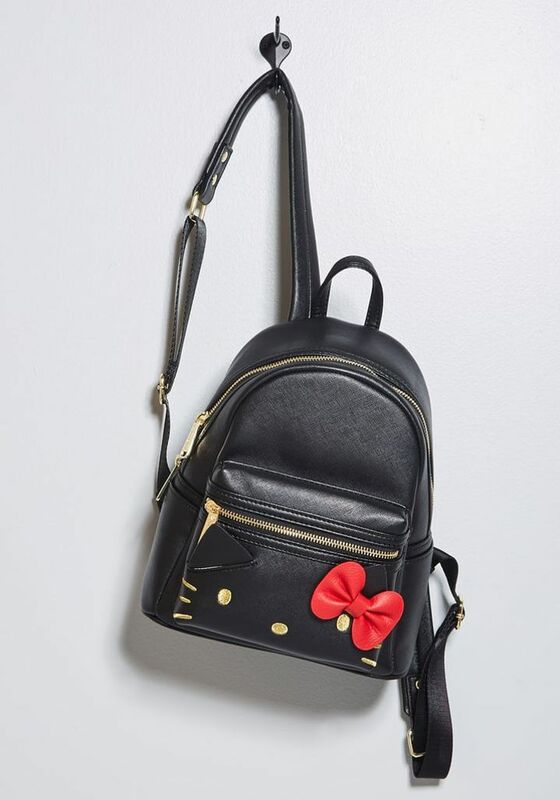 Carry all your necessities in this ModCloth for Hello Kitty Pop Culture Cutie Backpack ($65). 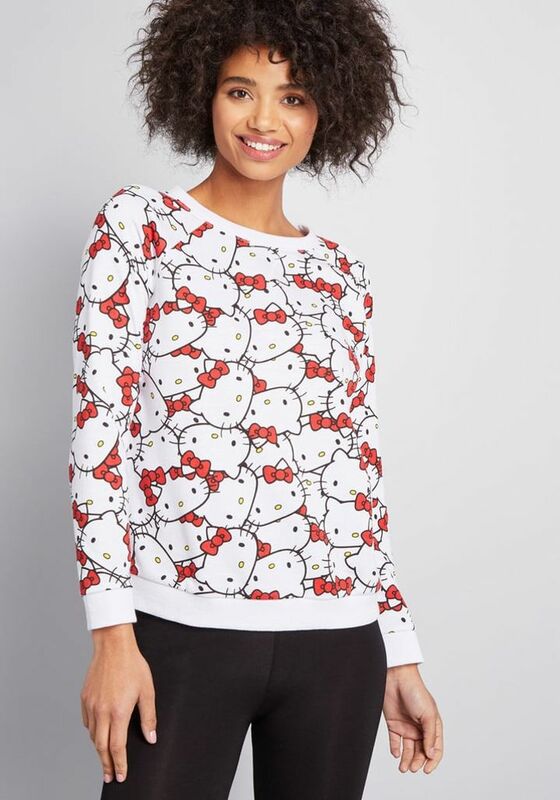 We love the pattern on this ModCloth for Hello Kitty Adorable All Over Sweatshirt ($55). 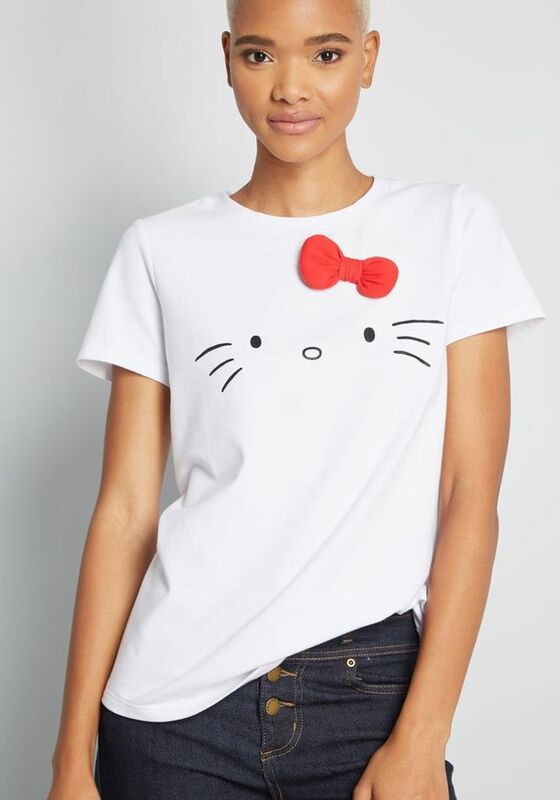 You can wear this ModCloth for Hello Kitty Bow and Go Graphic Tee ($29) with everything from skirts to trousers. 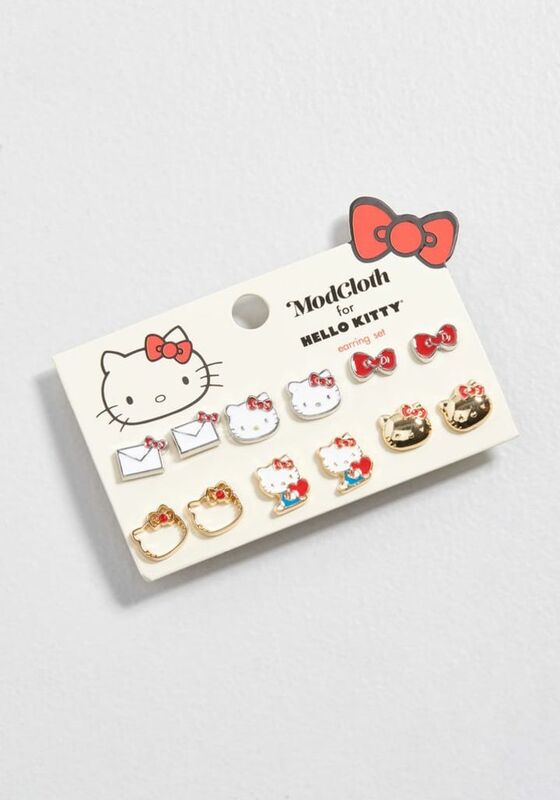 Mix and match your earrings with this fun ModCloth for Hello Kitty Iconic Accents Earring Set ($25). Be bold and rock this red ModCloth for Hello Kitty Familiar Friend Cardigan ($59). 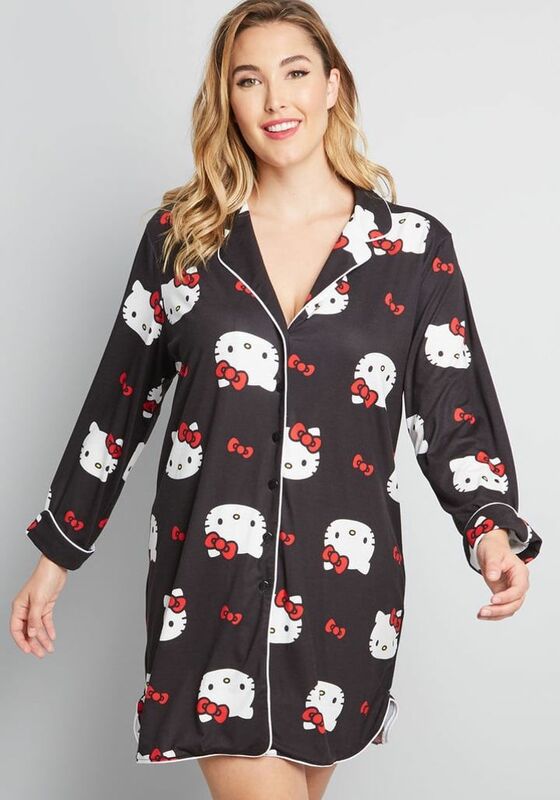 Get this ModCloth for Hello Kitty Sweetest Snooze Sleep Shirt ($39) for a good night's sleep. These patterned ModCloth for Hello Kitty Retro Reimagined Cropped Pants ($69) will be your go-to pair this season. 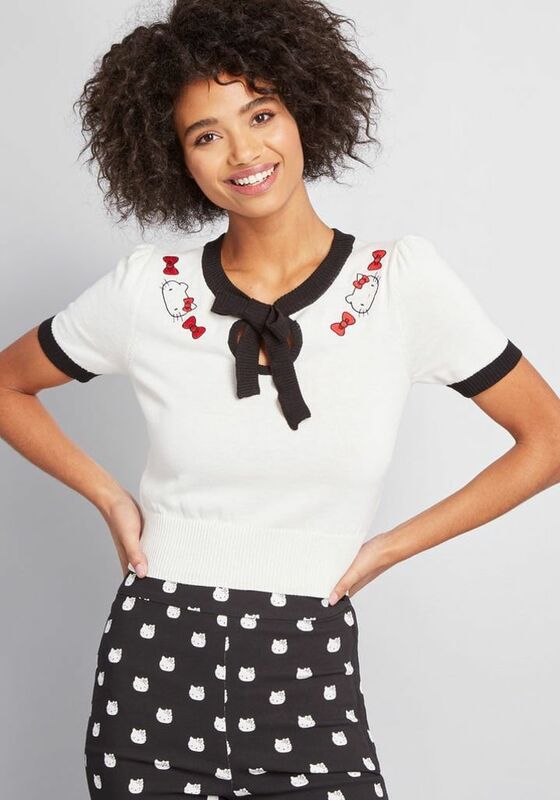 Everyone will want to know where you got this ModCloth for Hello Kitty Illustrated Salutation A-Line Skirt ($69). 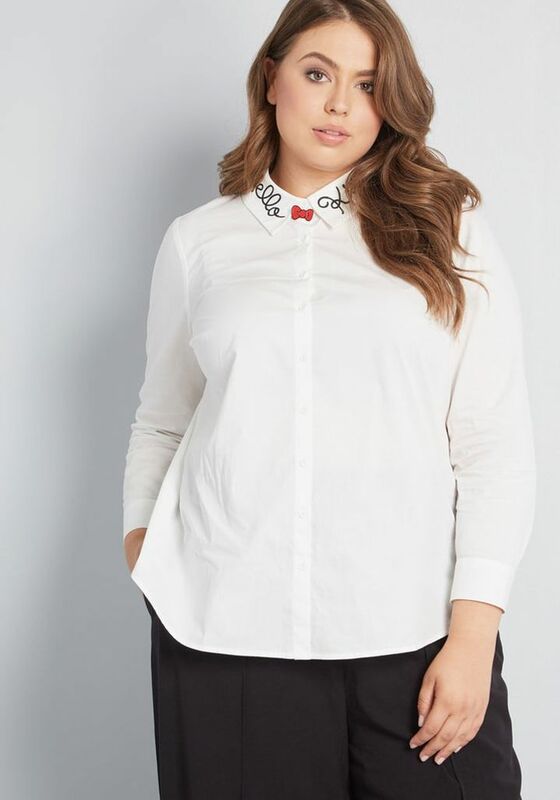 This ModCloth for Hello Kitty Her Signature Button-Up Top ($59) is all about the collar detail. 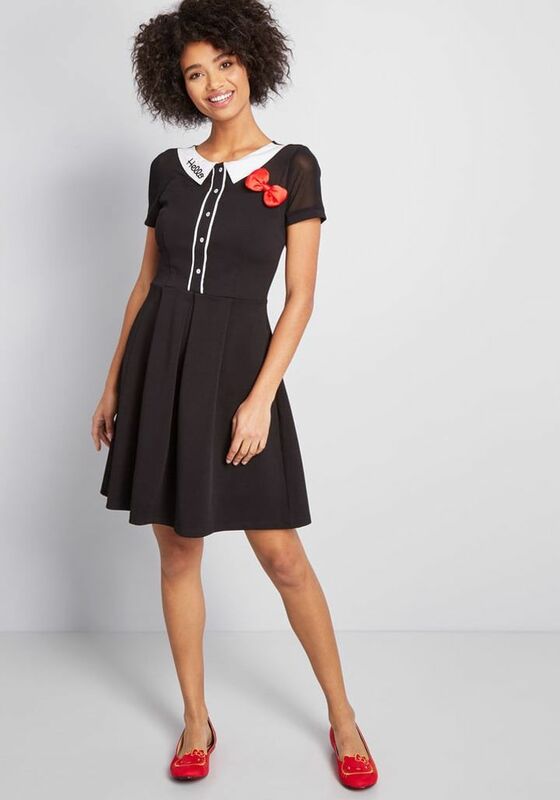 Wear this ModCloth for Hello Kitty Cheerful Greeting Collared Dress ($89) with red flats. 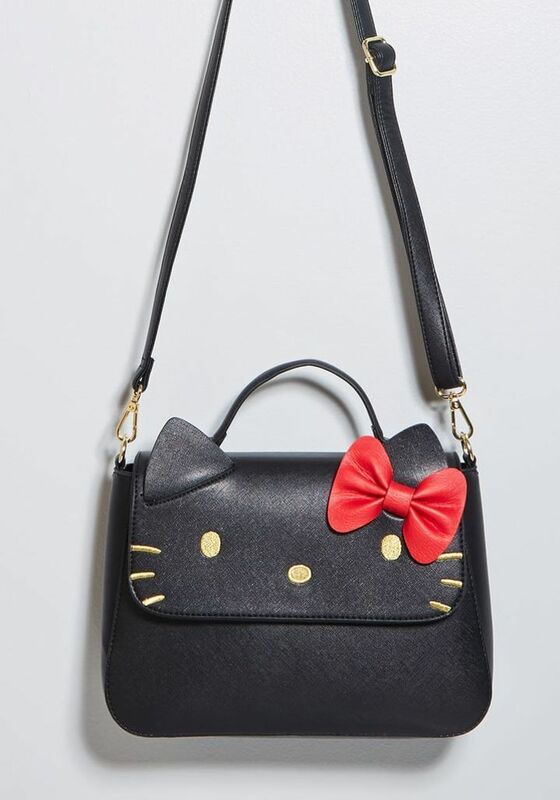 We're ready to trade in our boring tote for this ModCloth for Hello Kitty Pop Culture Cutie Crossbody Bag ($65).